So Friday marked our inaugural Music Learning Revolution event. Running a large-scale conference for 400 delegates in prestigious London venue The Brewery in Musical Futures’ first year of operation was always a slightly risky strategy. But, even if we do say so ourselves, this event truly rocked. Legendary film producer Lord David Puttnam opened the conference with an inspiring speech about seeing excellence and the potential impact of a creative environment. It set the bar high, and was an honour to have him in the room with us. 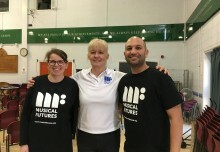 As the majority of the workshops were practical it meant that music making was blasting out of every corner – from iPads to guitars to nursery songs to beatboxing – walking around you got a real sense of the quality and diversity that we see in the music education sector. We wanted people to be inspired by the environment they were in for this conference, as well as by the content itself. From the professionalism of the staff, to the incredible sound, lighting and set, the venue helped to give the MLR an edge. Having decent coffee and refreshments available all day was pretty critical too! It was fantastic to see so many different types of people attending this event: Secondary and primary classroom teachers, early years practitioners, academics, Music Hub representatives, music education organisation heads, community musicians, funders, industry experts, headteachers all came together and the general atmosphere was one of positivity and solidarity. Delegates were there to move forward, not to dwell on the past. A particular highlight was the culmination of a workshop that took place on the 22nd October between Monks Walk School Hertfordshire, Morpeth School London and The International School of The Hague. The students created a piece of music via classroom workshopping techniques, and surprised delegates by walking in and performing at the end of a debate on assessment. The Music Learning Revolution started trending on twitter within an hour. This for us was a massive achievement. We work hard and think carefully about how we manage our social media, because this is a way of communicating with all people who can’t be in the room with us, yet whose opinions are just as valued as those that are. 1000s of tweets went out from the MLR on the hashtag #MLRev and was a brilliant way of capturing thoughts, ideas, opinions and the general atmosphere. We were really pleased to have student representatives from Wired4Music sit on each of the panel debates and provide a young persons’ perspective on all of the issues being discussed. It was such a highlight for us to have delegates and presenters/workshop leaders from Australia, Canada, New Zealand, Finland, America and South Africa. 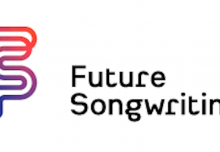 Musical Futures is a global movement, so to have this reflected at the MLR, and all of the sharing, discussing and positivity this brings was fantastic. We were keen that our exhibitors were at the heart of the MLR, so the exhibition space was where all of the catering was served, meaning that the space had a great atmosphere, lots of discussing, demos going on, positive conversations and yet again, great coffee. Thank you to all of our exhibitors for putting on a great show: Ableton, Korg, Yamaha, Pioneer DJ, OCR, Trinity College London, ABRSM, Guildhall School of Music, Play With the Band, Steinberg, Music Shop Europe, R&D Digital Fund for the Arts (event sponsors), Rockschool, UCanPlay, Roland and BBC Ten Pieces. Ending the day with a massed performance of young people and 400 delegates was inspiring and pretty emotional! All related content from the Music Learning Revolution will appear on our website during the course of the next fortnight.